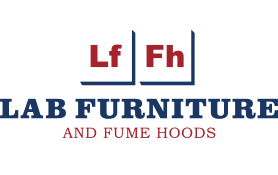 Laboratory Design & Construction Services | LFFH, Inc. Within our laboratory design & construction services, you will work with one responsible individual from early design to delivery. During the equipment and laboratory design phase, your project manager (PM) will help your team make informed decisions and ensure an excellent end result. Continuity – Your PM will be the same person from initial conversation to completion and future support. Design – Learn with your PM and make informed decisions. Project Assessment – Identify any potential design or construction challenges up front and develop a corrective action plan(s). Choose a construction approach and your PM will make great things happen. No need to worry about missed opportunities or “I wish we had…” Our team will ask the right questions, and understand your objectives and pull it all together, ensuring that services (i.e. power, gases, water, etc.) are in expected locations, benchware is plentiful and the project runs smoothly. Contact us today for your lab design service needs. Materials Delivered and Installed: Projects are quoted comprehensively – pricing, unless noted otherwise, includes all materials and carpentry installation. This approach does not include construction, electrical, HVAC, plumbing, piping and other services outside of carpentry installation. Your PM will coordinate the delivery of all required materials to be installed by others. Once materials are on-site you will receive a Laboratory Installation Manual. Your Project Manager is always available and will provide phone support to answer questions and ensure a great installation. Peace of Mind: Our products carry a Five Year Warranty.